How Can I Avoid a Second Bankruptcy? - Law Offices of Robert M. Geller, P.A. Bankruptcy is viewed as a solution to serious money challenges. It offers a brand new start and helps you get back on your feet after a tough time. But what if bankruptcy doesn’t solve all of your problems? What if you’ve filed and after several months or years you find yourself in another serious financial situation? Should you file again? Is a second bankruptcy even an option? Is it too late to amend your current bankruptcy plan instead of refiling? Will bankruptcy help protect a vehicle from repossession? Before you decide what to do there are a few things you need to consider. How Long Has It Been Since You First File for Bankruptcy? First, there are legal limits on how soon you can refile. If you’ve recently completed a Chapter 13 repayment plan or your debts were just discharged in the last few weeks or months in Chapter 7, you’ll need to wait to file. To learn more about how long you need to wait to file based on your current situation, check out this information. Another reason to consider how long ago you filed is that maybe there’s no need to file again. If you’re in the midst of a Chapter 13 bankruptcy you might have the option of amending the plan to include your current financial concerns. In some cases, if new debts arise (this is often the case when you’re dealing with medical debt), adding them to a Chapter 13 plan might trigger a qualification for Chapter 7 and many of your debts will end up being discharged. In this case, additional financial woes mid-bankruptcy can be a positive occurrence. 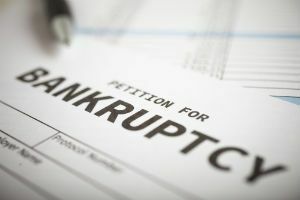 For many people, the need for a second bankruptcy comes several years or longer after their first filing. If this sounds like your situation and you suspect your financial challenges might be headed toward a second bankruptcy, you should do what you can to avoid filing. Start by contacting your creditors. Many are willing to work with you to help you avoid bankruptcy because they know they stand to gain more by offering flexibility. If you’re unable to work out a payment plan or the plan isn’t enough you still have options. Sometimes resolving a financial issue is as simple as getting a refresher in what you learned during your first pre-bankruptcy counseling course and applying that information to your current situation. One piece of financial advice is true whether you’ve filed before or not: never ignore creditors and credit problems. Hoping the problem will go away makes things worse. You are better off speaking to creditors and trying to come up with a resolution or taking more drastic action by filing, even if it’s your second time. If you are concerned you’re headed toward a second bankruptcy or you want to do everything you can after your first bankruptcy to avoid the risk of a second filing, we can help. For more information on how to best manage your financial situation, contact the Law Office of Robert M. Geller at 813.254.5696.